White LEDs ---- Full-spectrum provide fill for all missing spectrums and add Lux. UV 380-410nm : Process of chlorophyll absorption begins. UV (ultraviolet) has the unique function of sterilization and kills phytopathogenic bacteria. As we know, sunlight is essential for plant growth cause it influences plant photosynthesis. For indoor plants, they can't get enough sunlight, so they need a extra light source. 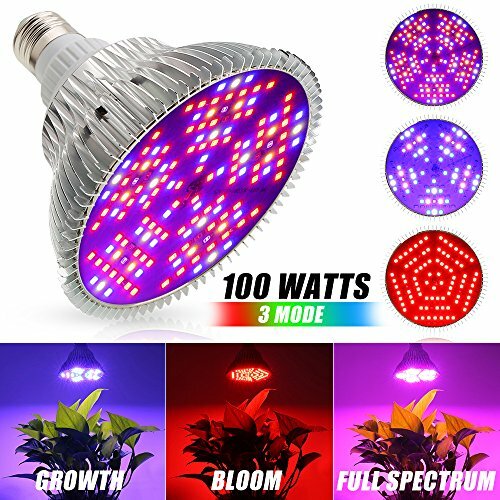 This Led Grow Light is full spectrum, it can provides the most efficient wavelengths of light and suitable for all stages of plants' growth. ❤️[Guaranty and After sale service]: 30 days money back guaranty and 2 year warranty. We are professional manufacturer with 10 years experience,any problem, pls let us know, we will help you within 24hrs.